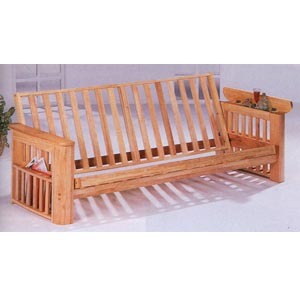 Natural Finish Futon With Magazine Rack On The Sides And Flip Up Arms. Easy To Assemble. Strong Construction. Dimensions: 85L. X 54W. X 32H..